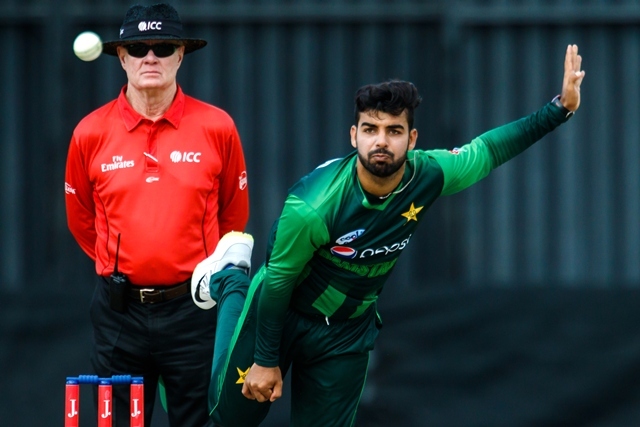 Pakistan cricketers Imam-ul-Haq and Shaheen Shah Afridi’s performance in the five-match ODI series against South Africa helped them improve in the International Cricket Council (ICC) rankings. The left-handed opener jumped nine spots to reach number 16 in the ICC ODI rankings for batsmen. He was the highest run-getter in the five-match series which included a century and two half-centuries. Left-arm pacer Shaheen Shah Afridi — who bagged six wickets in the series — jumped 38 places into 74. Meanwhile, New Zealand’s Trent Boult climbed to third position in the bowling rankings thanks to his 12 wickets in the five-match series against India. He is behind Indian fast-bowler Jasprit Bumrah and Afghanistan leg-spinner Rashid Khan. UAE and Nepal players made gains in the rankings as pacer Mohammad Naveed of the UAE jumped six places to 57th while Nepal’s leg-spinner Sandeep Lamichhane improved by 16 slots to reach number 134. In the team rankings, South Africa overtook New Zealand to reach number three. Correction: An earlier version of the story incorrectly stated that Trent Boult topped the ranking. The story has been updated to reflect the changes.